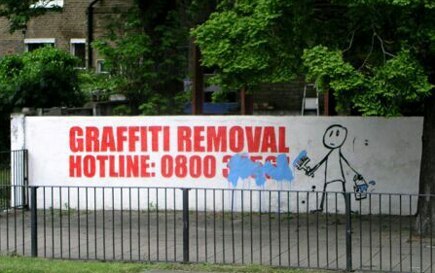 Graffiti removal fail - these guys have a problem in their hands! Graffiti removal fail – these guys have a problem in their hands! lol… This is totally a losing battle! « A good answer can make a stupid question funny!